From a very young age, I always loved arts and crafts, I would try and make anything our of everything, mostly out of things I wasn't supposed to use, including my own hair.. so you can imagine the joy when I came across the DIY features of Who What Wear. Not only do they have good DIY ideas, but amazing DIY fashion ideas!!! 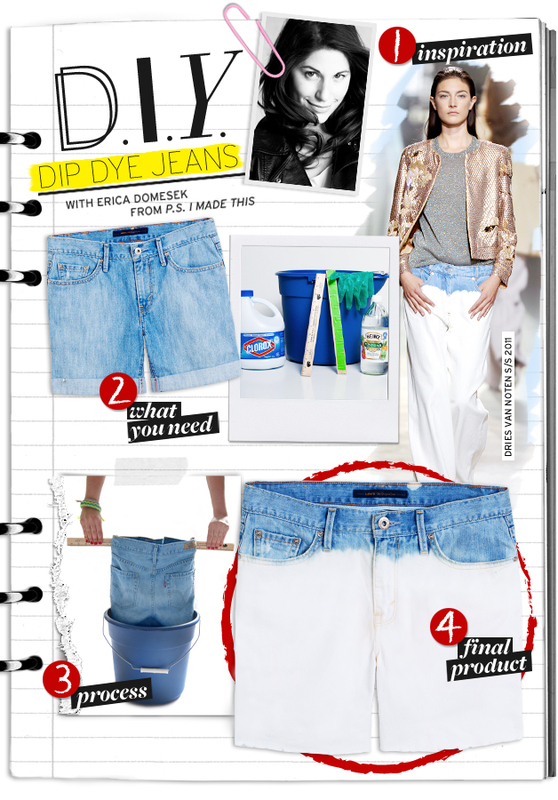 Here is one of my favourites: recreate your very own Dries Van Noten bleached jeans! Don't know about you, but I will definitely be trying this.